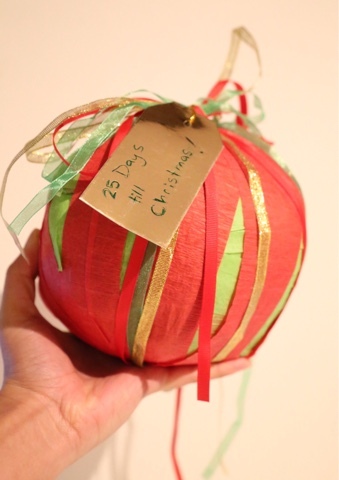 Christmas Advent Calendar Surprise Ball! One of my favorite holiday traditions leading up to Christmas has always been the advent calendar! And I am certainly not ashamed to admit that even as a 30 year old woman I still have to pick up one of those traditional chocolate filled ones every year and get super excited every morning to open one of the tiny compartments to see what christmas shaped chocolate I'll be getting...will it be the stocking? The toy train?? In hopes that my nieces and nephews would share the same joy I do from advent calendars I usually get them one as well but this year I'm stepping my game up! Have you ever played that party game where theres a gift wrapped in multiple layers of colorful tissue paper and everyone takes turns unwrapping a layer until finally a winner unwraps the last layer and gets the gift? Well this is sorta like that but on steroids! For this advent calendar there is a prize within every layer that you get to unwrap everyday till Christmas! 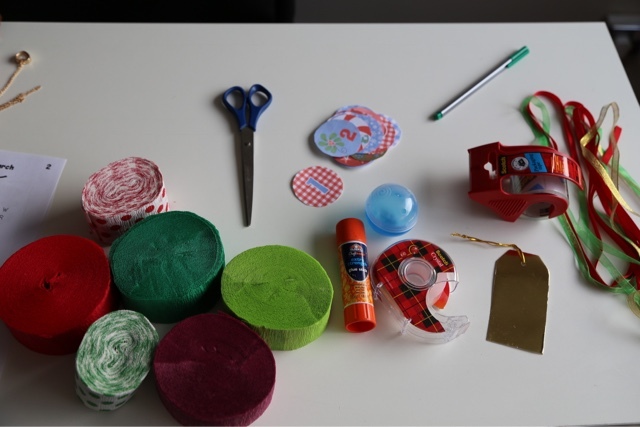 As you'll see in the video I am making one for my niece but you can make it for anyone you love. Boyfriends, girlfriends, sisters, brothers, best friends....and it's sure to bring cheer to any age as well. For the prizes I went super simple/inexpensive and even got a few jokes and games off of the internet which were practically free. 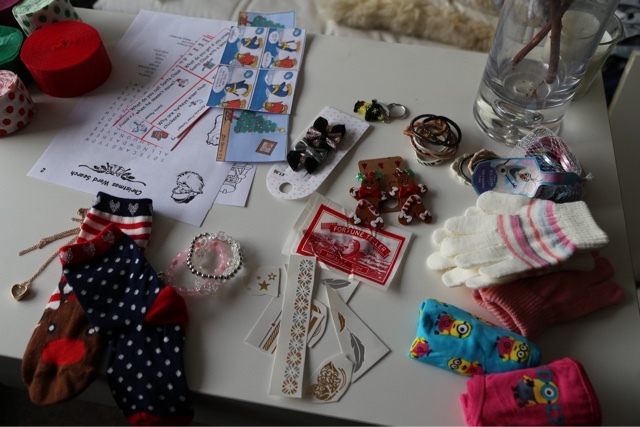 Here's a list of prize ideas that are easy to wrap in the layers: gloves, pjs, bracelets, ear rings, stickers, chocolate coins, temporary tattoos, hair ties, head bands, a dollar, socks and undies. The link to the instructional video can be found at the bottom of this post!